Summary Dual drive My Book NAS based on 800 MHz Applied Micro APM82181 w/ much improved remote access. I have to thank a reader for suggesting I review WD's dual-bay version of its top-selling (at least according to Amazon and Pricegrabber rankings) consumer NAS. I missed the announcement in January amid the flurry of other CES news. But a request to WD's crack PR team brought one to the SNB lab, stat! The Duo looks like a double-wide version of its single-drive sibling that I reviewed back in fall 2010, coming clothed in the same subdued matte charcoal grey plastic shell. Like its thinner cousin, the Duo's front panel carries only a lone, tiny light that changes colors and blinks depending on what it is trying to tell you (Figure 1). 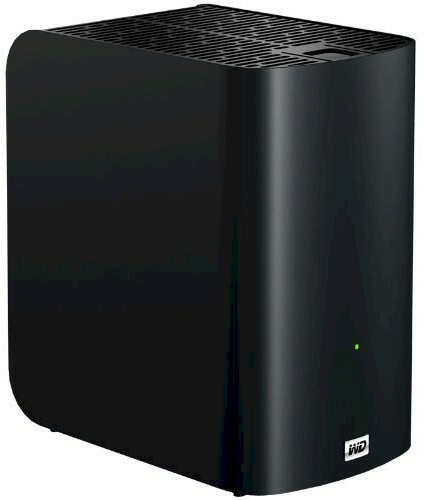 Figure 2 shows the rear of the Live Duo, which differs from the Live single in having a USB 2.0 port. You can attach USB drives here for sharing or backup, but no printers are allowed. I was able to slip off the Duo's plastic covers and get to its inner metal card cage where the processor board sits in the space between the two drives. The cage's fiendishly clever design (at least to me) resisted my attempts to get it apart, so I was only able to get the angled shot of the board shown in Figure 3. Fortunately, the Support > System Report feature generates and saves a full set of logs right to your desktop. So I was able to comb through the Linux dmesg log to figure out the key components. It turns out that the design is essentially the same as the Live, even though the board is different. The only difference I can discern is that WD says that the Live Duo uses an 800 MHz processor vs. the 1 GHz Applied Micro APM82181 I found on the Live. RAM complement is the same at 256 MB and so is flash at 512 KB. A single Broadcom BCM54610 provides the Gigabit Ethernet LAN port, which doesn't support jumbo frames. WD has switched from the Caviar Green drive in the Live to two WD AV-GP (WD20EURS) 2 TB drives in the 4 TB WDBACG0020HCH model sent for review. The Duo draws only 14 W when active and 5 W when drive spindown occurs after the Energy Save mode kicks in, which is programmable from 10 to 60 minutes in 10 minute increments. There is no fan, so the Duo runs very quietly.